Guitar fans take note: Toehider are proud to announce a rare opportunity to meet Paul Reed Smith of PRS Guitars. On June 6, Toehider will be performing on stage at 8PM at the Northcote Social Club and will be joined on stage by the man himself, Mr Paul Reed Smith. This is a night for guitar playing and guitar talking. 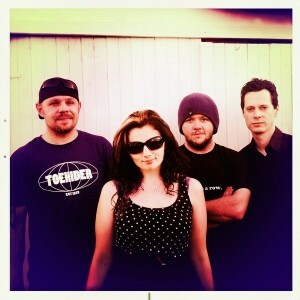 Also performing on the night is Electric Mary. this is the first time these two powerhouse Melbourne rock bands have performed on the same bill, all with PRS Guitars around their necks and powered by PRS Amplifiers. Tickets are $10 and the evening is already 1/3 sold out. Book now from the Northcote Social Club. OzProg has been a part of the progressive rock and metal landscape in Australia since 2003, keeping the music-loving public updated on the latest happenings in the prog world as well as helping bands, labels and other music industry figures get their names heard with our music industry services. If you'd like to get your album reviewed, news posted, or shows in our gig guide, please contact us.